Douglas A. Cooper | Ruskin Moscou Faltischek, P.C. 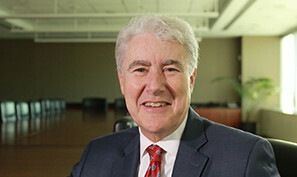 Douglas A. Cooper has significant trial experience in both state and federal court and has argued appeals before the New York Court of Appeals and the U.S. Second Circuit Court of Appeals. He has led several high-profile matters for the firm, notably the landmark sale in 2005 of the private bus lines in New York City to the Metropolitan Transportation Authority, which itself spawned federal and state litigation. He serves as an officer and director of a public REIT. Douglas has lectured extensively on the subject of crisis management. Douglas serves as Of Counsel to Ruskin Moscou Faltischek, P.C. He is a member of the Litigation Department and the Construction Law Practice Group. Douglas serves as counsel and trusted advisor to many of the firm’s key clients. He was named a co-managing partner of the firm in 2002, a position he held until 2010 when he assumed the chair of the Litigation Department. A member of the Chairman’s Council of the New York Historical Society, he also is a member of the board of AF-PCFF (American Friends-Parents Circle Families Forum), which works to foster reconciliation among Israelis and Palestinians. Douglas graduated from Hamilton College, studied at the School of Political Studies at the Sorbonne in Paris, and received his J.D. Degree from Fordham Law School where he served on the Urban Law Journal. He also earned a master’s degree in corporate law from NYU Law School. “How to Reduce the Tension between Public Relations Professionals and Legal Experts Handling High Profile Corporate Crises,” Speech delivered at the Media Relations National Conference, Washington, D.C., May 2001. “CEO Must Weigh Legal and Public Relations Approaches,” Public Relations Journal, January 1992.